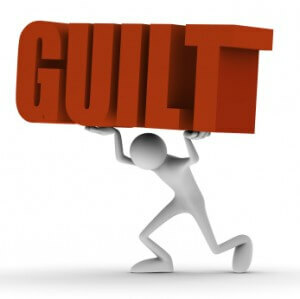 So I’ve been reliably informed that blogger’s guilt is quite a common problem amongst the blogging community. But it doesn’t make it any less easy. I realise that I have only been blogging for a short time compared to many others, so maybe my guilt it less than others, but it doesn’t make it any less real. When I first started blogging, it was over the Christmas holiday, so I had time to blog to my heart’s content. But now I’m working, and we’ve moved house so travelling times come into play more, and hubby steals the laptop for study at least two nights a week, and there’s decorating to do, and I’m just plain exhausted when I get home from work cos of these damned early mornings, and and and…. There is always going to be a reason that can get in the way of blogging. But I have to admit that I do feel guilty when I haven’t posted in a while, or just do a bit of a long boring post about the rubbish we got up to at the weekend. Maybe I need to make more of an effort to blog during the week. Maybe set up a regular mid-week post… Does anyone have any ideas?? I guess I could also use my mornings more efficiently… I usually have about an hour or so at work in the morning where I usually just drink my tea or coffee (depending on the day – Monday and Friday is a Large Costa Caramel Latte, Tues-Thurs is two cups of Earl Grey – what can I say, I’m a creature of habit!) and read whatever book I have on the go on my Kindle. So maybe, rather than reading, I could be blogging, or at least preparing a post, doing whatever necessary research needed for said post. So tell me what you think… how often is too often? How often is not enough? (I’m still talking about blogging here!!) And what do you think is the optimal amount of blog posts per week? Is there anything you would like to see me write about? I dare you, give me a subject and I will try my hardest to blog about it…as long as it’s not completely obscure and is something that I am vaguely interested in.